Shares in Rolls-Royce are soaring after the aircraft engine company issued further guidance on its prospects. About 45 minutes into trading, the stock was up more than 13%, with the shares enjoying their best day for two years. 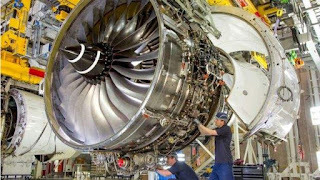 Ahead of a meeting with investors and financial analysts, Rolls-Royce issued an upbeat statement on future cash flow and costs. The company announced 4,600 job cuts on Thursday. The shares were by far the best performer on the FTSE 100. Tesco rose 2% on the back of its latest positive trading update. The blue chip index is flat at 7,764.7 points.